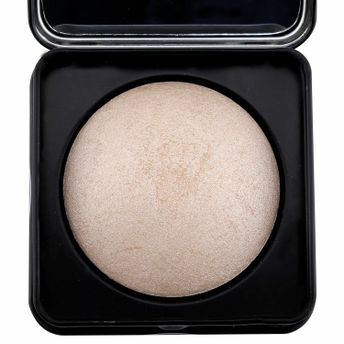 Long-lasting baked highlighter with shimmer pigments. Smooth, silky formula which is easily blendable. Adds radiance and glow to your skin. Use it wet or dry. Available in array of shades that suit all Indian skin tones. Additional Information: PAC Cosmetics is a professional makeup brand bringing to you the highest quality of innovative cosmetics and beauty tools at affordable prices. Providing cosmetics lovers all across India with innovative and on-trend makeup products that totally transform their look, the brand focuses mainly on makeup professionals and their unique makeup needs. Known for their uniquely curated, cruelty-free and independently designed brushes, professional makeup tools and accessories, PAC's entire range of face, eyes, lip makeup products and tools, ensures that you look and feel beautiful and confident every day! Explore the entire range of Highlighters available on Nykaa. Shop more PAC products here.You can browse through the complete world of PAC Highlighters .Alternatively, you can also find many more products from the PAC Baked Highlighter range.